When Fat Charlie's dad named something, it stuck. Like calling Fat Charlie "Fat Charlie." Even now, 20 years later, Charlie Nancy can't shake that name, one of the many embarrassing "gifts" his father bestowed-before he dropped dead on a karaoke stage and ruined Fat Charlie's life. Because Mr. Nancy left Fat Charlie things. Things like the tall, good-looking stranger who appears on Charlie's doorstep, who appears to be the brother he never knew. A brother as different from Charlie as night is from day, a brother who's going to show Charlie how to lighten up and have a little fun. And all of a sudden, things start getting very interesting for Fat Charlie. 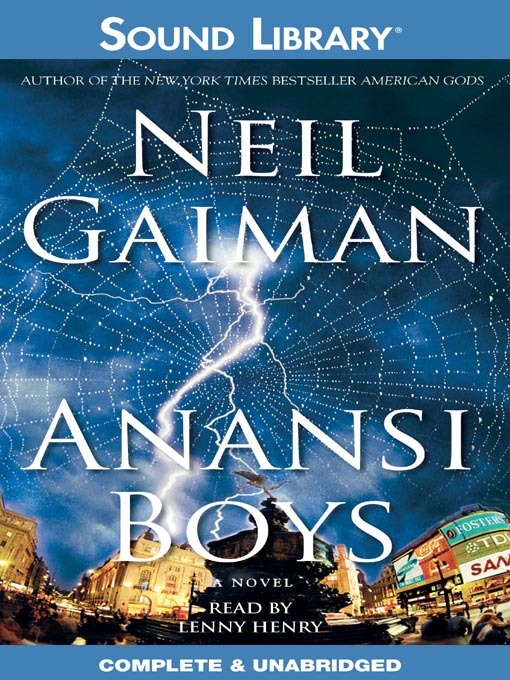 Exciting, scary, and deeply funny, Anansi Boys is a kaleidoscopic journey deep into myth, a wild adventure, as Neil Gaiman shows us where gods come from, and how to survive your family.